If your little one is struggling with a cold or the flu and he is feeling congested, you want to help relieve his discomfort immediately. 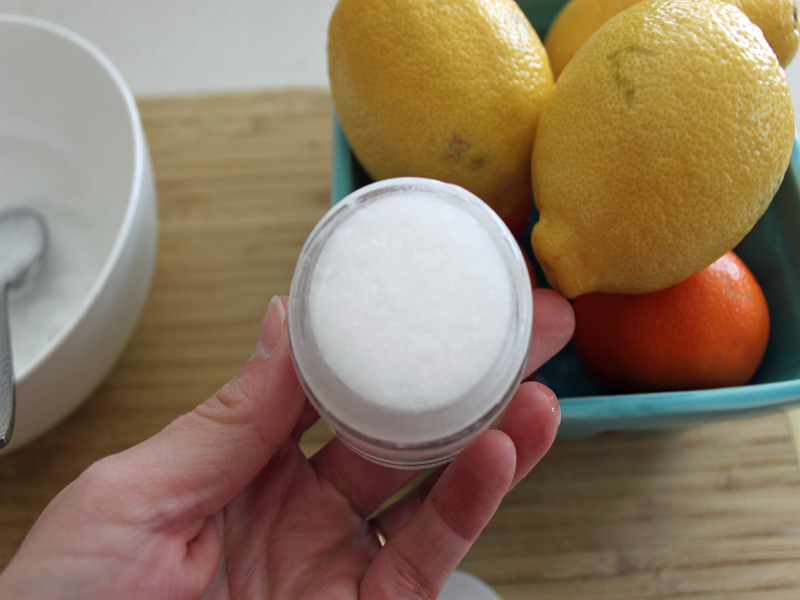 While it's easy to grab a jar of conventional over-the-counter chest rub, the ingredient list includes petroleum and other frightening toxins. Instead, check out these 5 natural flu remedies, then grab a handful of natural and organic ingredients from your kitchen cabinets and mix up a chest rub that is not only good for your child but the environment too. 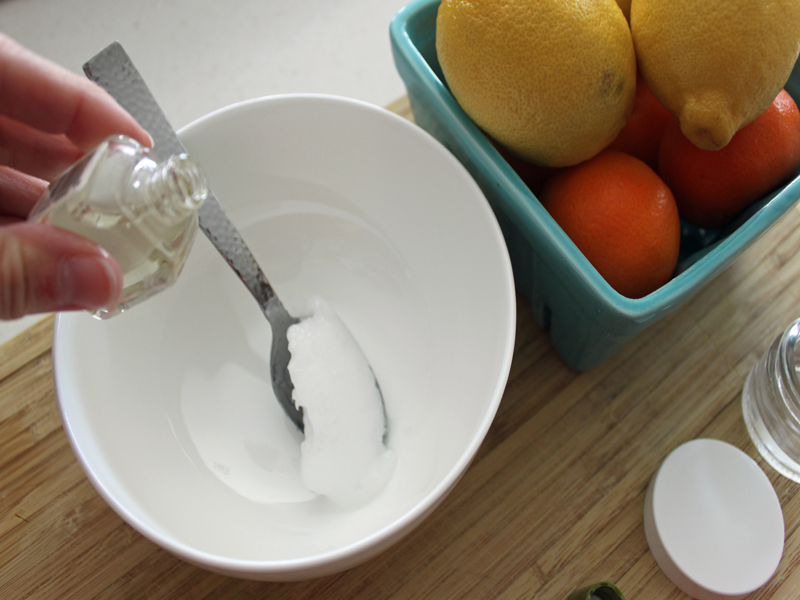 This natural, organic chest rub is made with coconut oil, which alone is fantastic to use on your skin -- and since your child's body will absorb the chest rub, you want to make sure it is made using nothing but natural ingredients. I created this recipe for my son who is very sensitive to scents, so I went light on the essential oils. 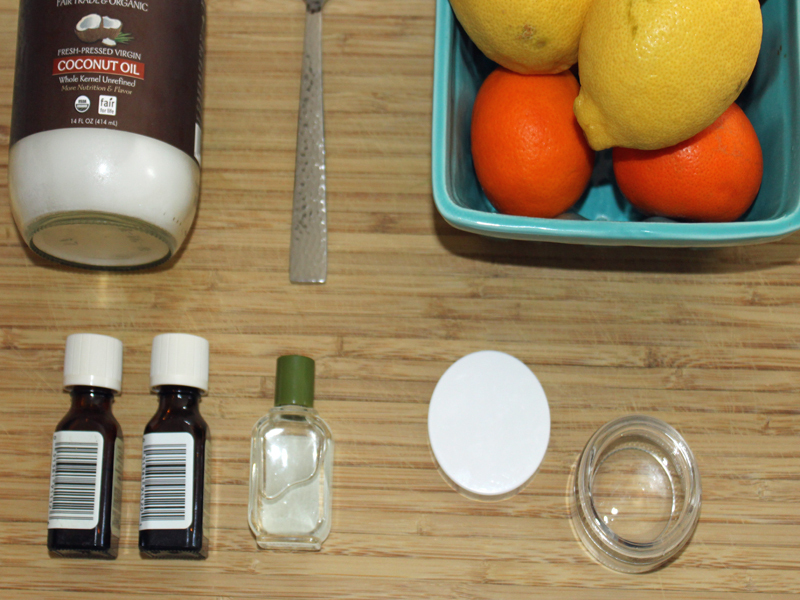 If you want the rub to be more fragrant, you can amp up the essential oils to your suit your preference. 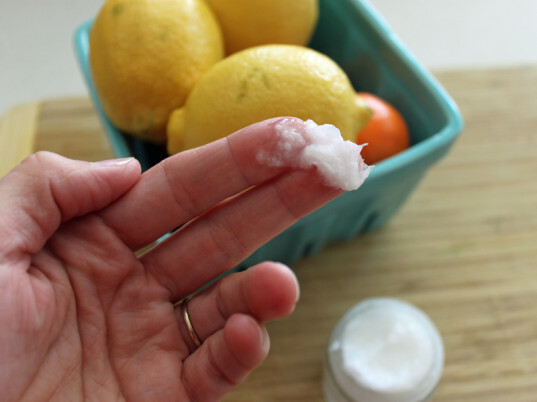 Read on the for the full directions to make your own natural, organic vapor rub for your family. NOTE: Do not use this vapor rub on children under two years of age due to the peppermint and eucalyptus essential oils which are not suitable for use on children under 2. I like to keep any empty cosmetic jars, clean and store them for projects just like this. You can use any container that is airtight. 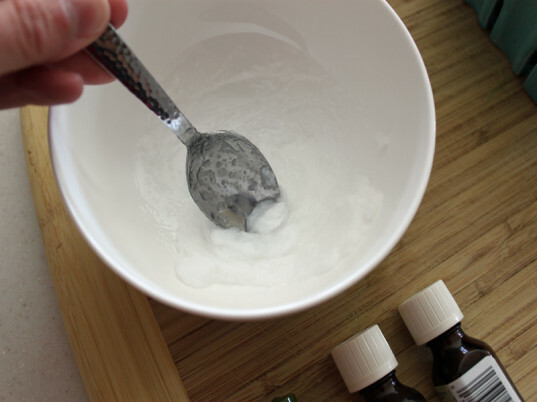 I usually only make enough of this chest rub to use immediately or within a day – so I start with one heaping tablespoon full, add it to a small bowl. 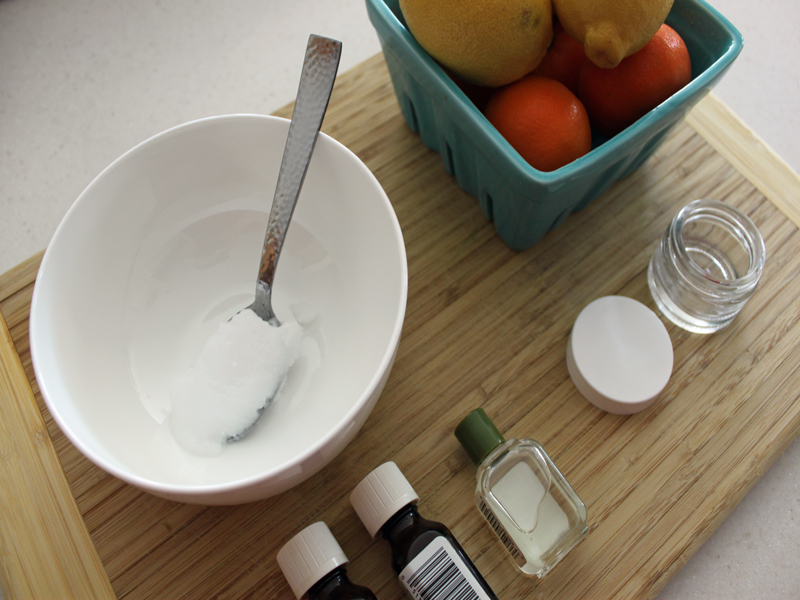 Then, add 3 drops of organic peppermint, eucalyptus and lemon essential oils to the coconut oil. Stir the mixture well until all of the essential oils are mixed completely into the coconut oil. 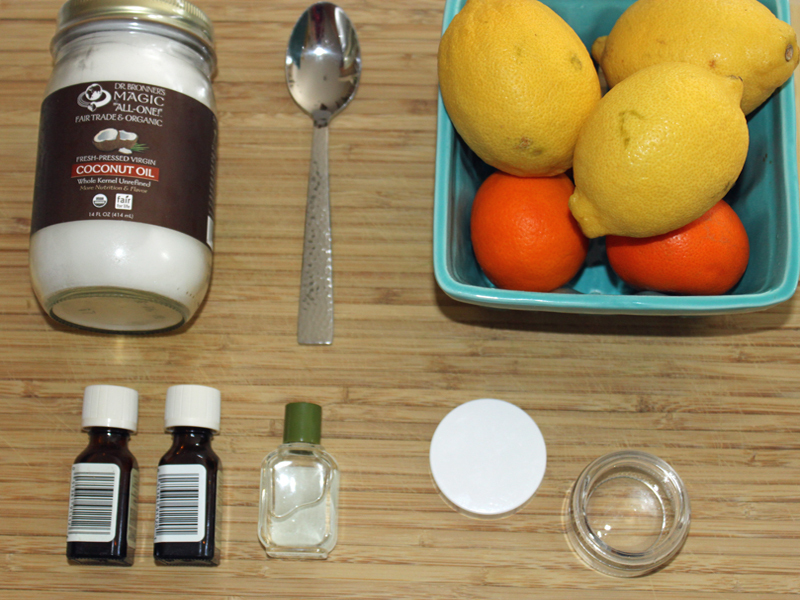 Fill up the jar with your homemade natural vapor rub. Secure the lid tightly. You can store this in your medicine cabinet for quite some time, however, I recommend using it immediately! The next time your little one feels under the weather and congested, grab this chest rub and help him feel better quickly! 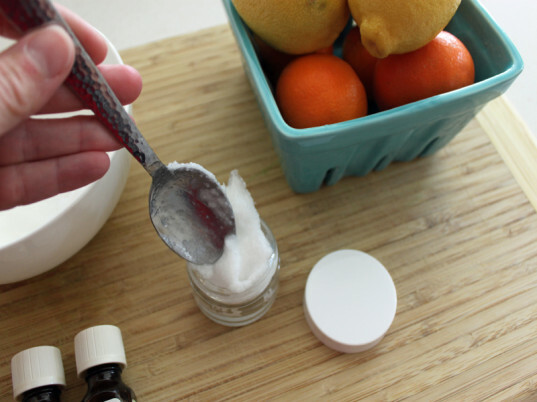 I usually only make enough of this chest rub to use immediately or within a day - so I start with one heaping tablespoon full, add it to a small bowl. The next time your little one feels under the weather and congested, grab this vapor rub and help him feel better quickly!